Twila Lee Lovelace was born near Hammon, Oklahoma on September 23, 1926 to Ruby Pearl (Boal) and Clarence John Lovelace. She passed away on June 13, 2016 at her residence in Caseyville, Illinois. She attended Spring Creek School through the 8th grade, and then went to High School at Hammon graduating in 1944. In 1935, twin brothers, Keith and Karl were born and later two more sisters, Sondra and Darla were added to complete the family. After graduation, Twila moved to Oklahoma City and was a bookkeeper for a bank then later in collections for a telephone company. She met her first husband, John Augusta Woodruff, Jr. and they were married on July 6, 1946 at his parents’ home in Oklahoma City. While living there their first son, William Scott was born on September 29, 1951 and after moving to Rockford, IL they welcomed their second son, Steven John on September 15, 1958. Twila took great pride striving for excellence in her numerous careers. She has worked as a bookkeeper, business and office manager, business administration, administrator of three nursing homes and free-lance bookkeeping. They have lived in Houston, TX and Hammon, OK. Since 2004 she has resided in Caseyville, IL. While living in Caseyville, Twila met her second husband, Don Tinsley. They were married on October 4, 2014 in Belleville, IL. Wherever Twila lived, she loved getting her hands dirty, personalizing her yard to create her own vision of beauty, resulting in a colorful masterpiece. While living in Hammon, she enjoyed working with her brother Karl, growing their vegetable garden. 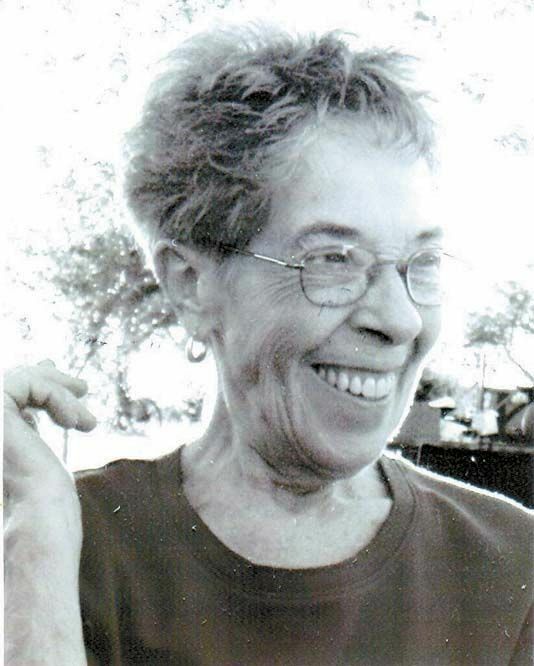 Twila was an excellent seamstress; specializing in bedding, window treatment and upholstery. She also liked to experiment with new recipes. Twila is survived by her husband Don Tinsley of the home; son Steven (Paige) Woodruff, Atlanta, GA; stepson Don Tinsley II; grandchildren, Steven, Jr. (Melanie) Woodruff, PA; Christina Dempsey, WA; Jeremy Woodruff, CT; step-grandchildren: Emily, Jessica and Joshua Searles, Baela and Nace Tinsley. She also has 3 great-grandchildren, Ethan John Woodruff, Piper Jean and Lucille Morgan Dempsey. Other survivors include brother Karl (June) Lovelace, Hammon; two sisters, Sondra Gordon, Bolivar, MO and Darla Lovelace (James Bennett), Caseyville, IL, sister-in-law Lois Lovelace, Hammon, OK and special friend Annette Hollins. Twila was preceded in death by her parents, first husband John of 55 years, son Scott, brother Keith Lovelace and brother-in-law J.B. Gordon. Donations may be made to Red Hill Cemetery, % Elsie Stephens, PO Box 332, Hammon OK 73650/. A Celebration of Life will be held at Red Hill Cemetery on a later date.